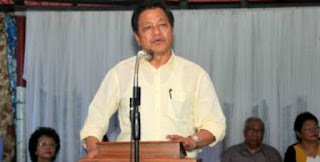 Aizawl, Sep 16 : The Mizo National Front Tuesday filed an FIR with Mizoram’s Anti-Corruption Bureau against Lalthanzara, a former Minister of State and younger brother of Chief Minister Lal Thanhawla. Lalthanzara resigned last month following exposes that he held several lakh shares in a Delhi-based company his brother the CM, through the state PWD, gave several contracts to at the time. Information also surfaced that a food company owned by Lalthanzara’s family supplied more than Rs 20 crores worth of biscuits to anganwadis for midday meals through the state’s Social Welfare Department since the Congress came to power in 2008. The MNF’s complaint to the ACB says Lalthanzara owned as much as 21.6% of Sunshine Overseas Ltd’s shares even as he was a Parliamentary Secretary in charge of the PWD which, at the time (2009-12), allotted several construction contracts to the firm. The opposition party also pointed out that HP Foods, a company owned by Lalthanzara, has also been supplying “high-protein” biscuits to the government while the party he belongs to continues to be in power. The party’s FIR has invoked various provisions of section 13 of the Prevention of Corruption Act 1988, which deals with “criminal misconduct by a public servant”. 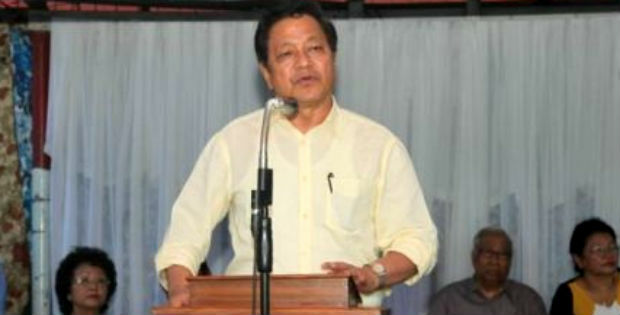 J Lalremruata Hmar, the MNF’s Legal Board chairman in whose name the FIR was filed, said, “Both Lalthanzara and the CM have said Lalthanzara’s resignation means he is ready to face a thorough investigation. We waited for them to institute an investigation, which has not happened. “We have therefore filed the FIR, and we will now see if the Vigilance Department will give the go-ahead to the ACB to proceed with investigations and subsequently file criminal cases,” he said.